As high as 30% of students report being victims of bullies with 1 in 3 instances of bullying occurring at school. The correlation between bullying and suicide has led bullying victims to be more than 2 to 9 times more likely to consider suicide (Bureau of Justice Statistics, 2013). It is a growing epidemic that is often not properly addressed by our schools or communities. Bullying is far reaching and is a major contributor to other pandemics such as truancy, increased drop-out rates, depression, anxiety, and lowered self-esteem. Suicide related to bullying has also become an increasing problem. Studies have shown that youth who are victims of bullying are more likely to have suicidal thoughts and attempt suicide than those who are not involved in bullying. Suicide is the third leading cause of death among 15 to 24-year-olds with 15% of high school students seriously considering suicide in the past 12 months. And at least 7% reported making at least one suicide attempt in the previous year (Edgerton and Limber, 2013). Many victims suffer in silence or reach out for help that is not properly received. Bullying causes victims to feel powerless over their lives. 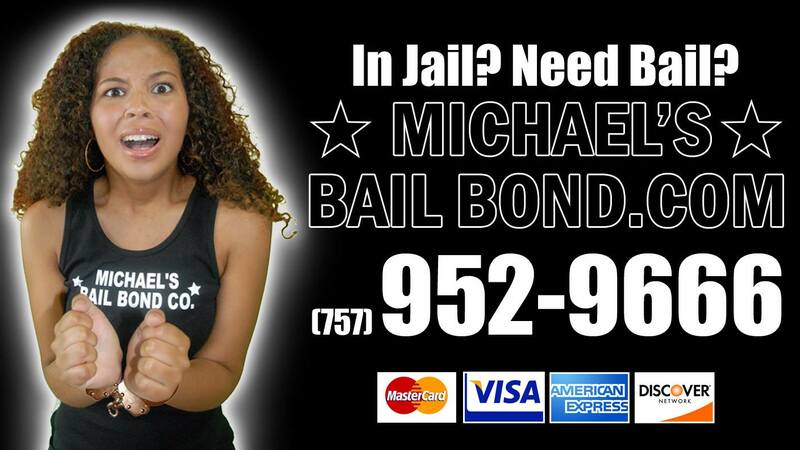 Michael's Bail Bond Co, LLC realizes the effect of bullying on the lives of both students and their families. After local instances of teen suicide in Newport News, VA related to bullying, Michael's Bail Bond Co, LLC established a scholarship along with Best Selling Author Justin C. Hart, aimed at addressing the issue. The Anti-Bullying Scholarship was established in 2016 by Woodside High School alumni Michael Ryan Crichlow, owner of Michael's Bail Bond Co, LLC and Best Selling Inspirational Author Justin C. Hart. A $500.00 yearly scholarship available to high school seniors currently attending Newport News Public Schools who best exemplify how to prevent bullying and eliminate the problem of bullying in their school. Applications for the scholarship will be accepted from September 10, 2018 to May 15, 2019. Applicants must include their name, address and phone number so that we may confirm their identity and school enrollment. Applicants must also submit a 750 to 1,000 word essay by email to MBBC, LLC explaining how they have been impacted by bullying or efforts they have made to address the problem of bullying in their school. The winner will be announced on May 30th by posting their essay to our Facebook and Twitter profiles using the hashtag #WhyBullyVA? *Authors of essays will remain anonymous to protect the identity of scholarship applicants. Scholarship funds will be made payable to the college in which the recipient is enrolled and shall be used for tuition, books, room and board or other education related expenses. We look forward to reviewing your submissions and helping with your educational costs.